Over the last few days the UK has been battered by strong winds, with Norfolk and Suffolk suffering with 45mph gusts, but the further up north you go, the stronger it gets! Sheffield had winds of up to 93mph and the North Pennines was blown away by 111mph. These gale force winds have wiped out electricity supplies across the country, with 16,000 homes powerless in Scotland and 6,000 homes in the East and West Midlands. The QEII Bridge connecting the M25 between Essex and Kent has been closed for the second time this week, with it not being expected to open until Thursday at 3pm. Queues of traffic have been growing either side of the Dartford Crossing due to the closure. As usual with high winds, many rooftops are losing tiles and throwing debris off of them left, right and centre, but I don’t think the teachers at a school in Acle expected to see bits of their solar panels whooshing off! Worrying about losing roof tiles in high winds is one thing, you shouldn’t have to be concerned about how secure your solar panels are though. 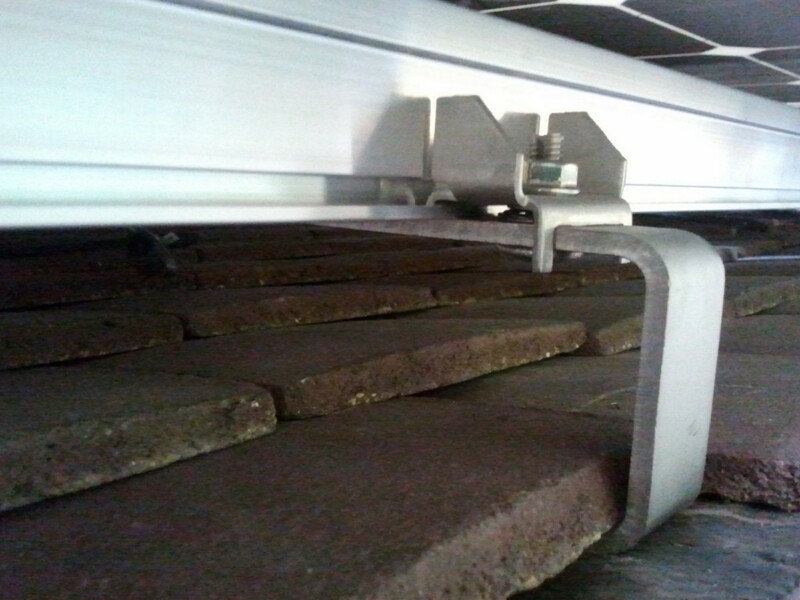 Well, if you have Anglian Home Improvements Photovoltaic Solar panels you will have no fear. Anglian’s solar panels are pinned down securely to your roof with some of the best fixings around. 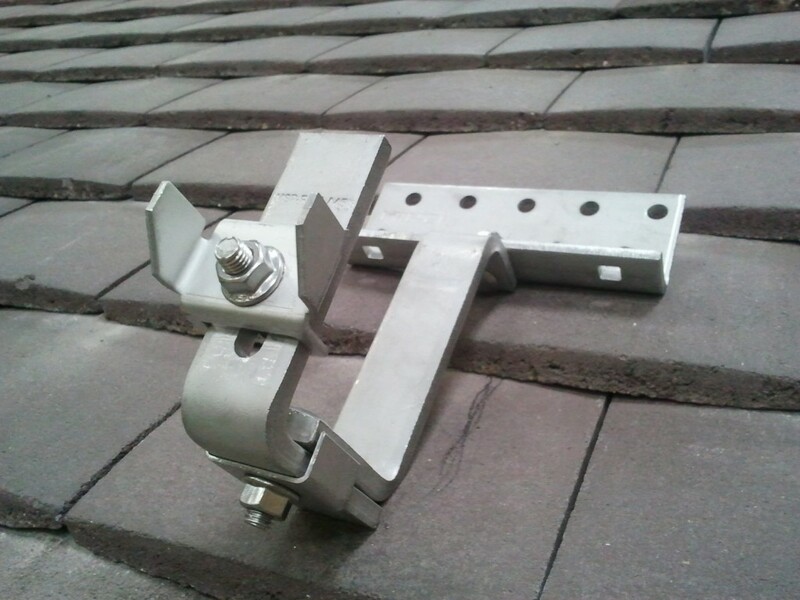 In the majority of homes, Anglian uses Hilti roof fixings to secure the panels to your roof. Once fixed into place the lateral tile hooks are used to position your panels in either a portrait on landscape layout, depending on the different variables for your home. Anglian uses self tapping screws to bolt down these fixings, before rails are secured to the hooks. When all of the rails are in place the panels are then fastened to them with clamps, keeping your photovoltaic solar panel in a safe, sturdy position. Obviously, a tornado or hurricane could cause substantial damage to your solar panels, along with the rest of the house, but these natural events rarely occur in the UK, so you are pretty darn safe! Hopefully this article will have helped give you peace of mind that your solar panels are going nowhere in these blustering winds, but make sure you drive safely, and stay aware of falling objects in the high winds. 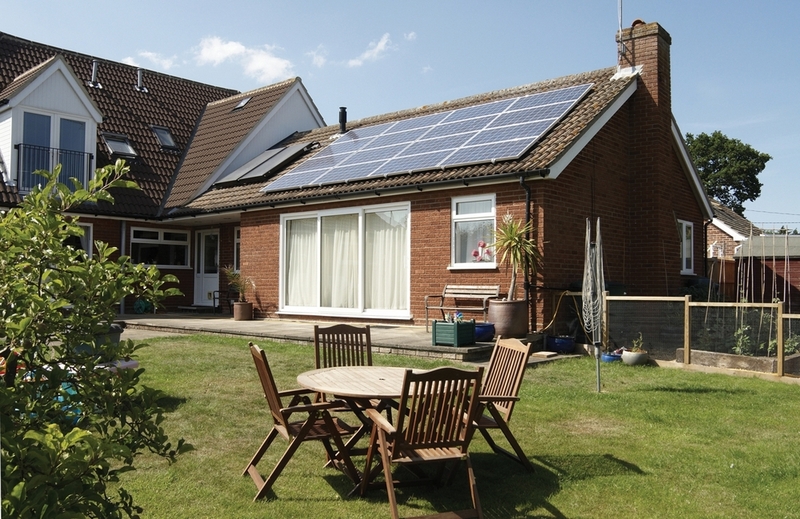 Solar panels are no longer a part of Anglian Home Improvements portfolio of products.